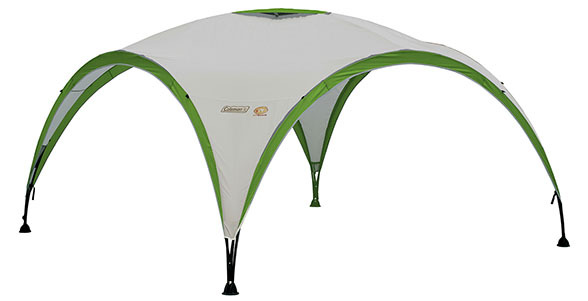 This Event Shelter Pro M 3m x 3m is the little sister of our extremely popular event shelter. It combines a sturdy structure with a flysheet featuring taped seams for increased water resistance and includes Coleman UVGuard™ for increased protection against UV rays. Event Shelter Pro M provides the same reliable features as the other event shelters but in an even more compact size of 3m x 3m.